At City Junk & Gardening we have a new goal at the forefront of our mind: Lambeth waste collection. As a company that was formed to transform customer service, and destroy high prices, we have had our eye on helping the hardworking people of Lambeth for some time now. Finally, the day has arrived, and we are here at your disposal whenever you need us. If there is an area of the nation’s capital that has been overlooked for too long, then it is Lambeth. Rubbish collection costs far too much, and is too often unreliable and poorly executed. With our new Lambeth refuse collection services we will work night and day to transform Lambeth rubbish collection so that it is so good that you won’t even recognise it. By keeping the area clean, we know that we can do our bit to help put smiles on the faces of the people who get up early every morning and go out and give life everything. We are here for you, just a call away. 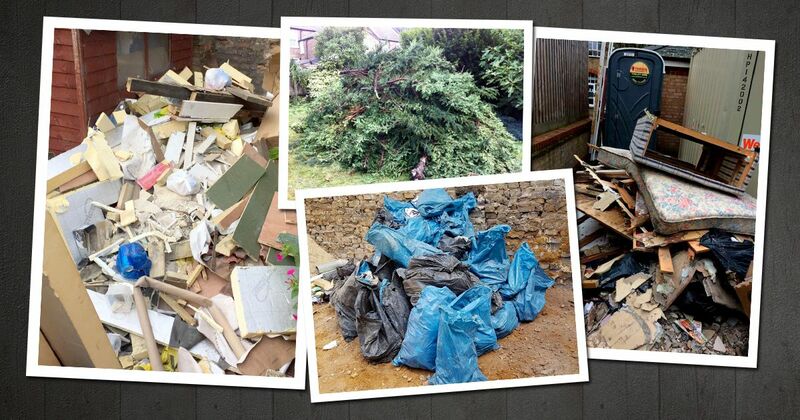 Lambeth bulky waste collection is one of the new options that our company is bringing to you from this day forward. Nothing lowers the mood of the people like piles of waste that is too big and heavy to fit in the bin, that’s why we offer Lambeth furniture collection options to suit all of your needs. With one quick call to our dedicated team, you will have a truck headed your way so that you can have all of the eyesores you have be praying would disappear, gone in an instant. Our services don’t stop there. Because we know that waste comes from all sources, and in all shapes and sizes, we now offer Lambeth garden waste collection to everybody that needs it. Combine that with our best in class gardening services, and you will finally have the beautifully clean and handcrafted outdoor space that you have always dreamed of. Not only do we have nimble green fingers, but as environmental lovers we also practice green waste collection to minimise the amount of rubbish from all of our Lambeth waste disposal jobs that ends up rotting in landfill. We know you will love our services, because there is nothing we can’t handle. Even if you want a small one off piece of furniture disposal we are the team to call. After all, our motto is no job too big or too small. Next time you need some assistance with your residential or commercial waste collection, just give us a call. You’ll be amazed at the cost and just how quickly we can speed to your door and get rid of all your junk in no time at all.